Eros Grezda part of Rangers for 2.7 million pounds? 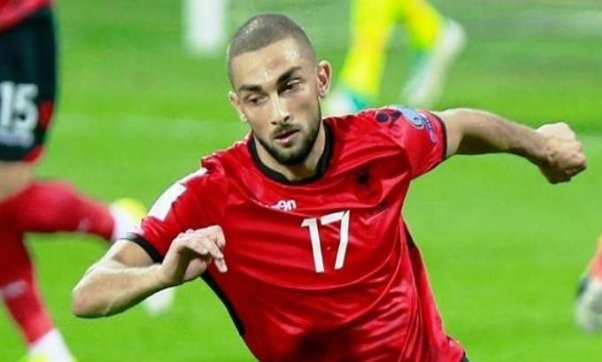 Albanian national footballer, Eros Grezda, suffered a serious injury at the best of his time, as he was embarking on a move toward the most important European championships. Now the 23-year-old continues to recover, but has not yet played for a minute with Osijek in Croatia. However, these details have not undermined the interest of foreign clubs for the Albanian winger. British media writes that for Grezda the renowned Scottish club Rangers has ready a 2.7million bid. Steven Gerrard has targeted the Albanian as the ideal player to replace Jamie Murphy. It is unknown how true this news is, but in the meantime it is certain that Grezda will be missing for the National team in the two September challenges in the framework of the League of Nations, against Israel and Scotland.